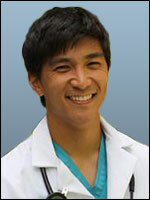 Michael Fujinaka, MD, is double board-certified in Pain Medicine and Anesthesiology. He is available for Independent Medical Evaluations (IMEs) and Expert Witness Engagements at several locations throughout the San Francisco Bay Area. Michael Fujinaka, MD, received his undergraduate degree in economics and molecular biology from Claremont McKenna College and his medical degree from University of California San Diego School of Medicine. He did his residency in Internal Medicine at University of Hawaii Medical System and his residency in Anesthesiology at University of California San Diego Medical Center. His fellowship in Interventional Pain Medicine was completed at Stanford University. Dr. Fujinaka is currently on the faculty in the Department of Anesthesiology at Stanford University. © 2018 California Medical Evaluators. All Rights Reserved.